Healthy Columbia, a community-driven initiative of CHI St. Joseph Children’s Health, recently served more than 240 members of the Columbia community at a free pancake breakfast featuring Santa and children’s activities in celebration of the holiday season. 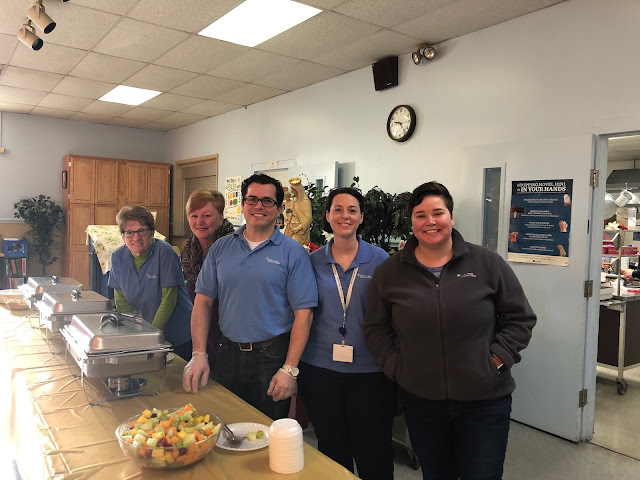 Healthy Columbia is dedicated to providing and coordinating services and the investments necessary to create a thriving community in Columbia Borough and the annual pancake breakfast is just one of the many ways the initiative supports the local community throughout the year. Pictured from left to right are CHI St. Joseph Children’s Health staff members: Ruth Fellabaum, administrative assistant; Sherry Hosler, dental hygienist; Phil Goropoulos, president; Lori McCracken, director of education; and Kelsey Miller, Healthy Columbia program manager. yay, kudos, thank you all!!!!!!! how awesome is this.